Non-adherence to medications increases seniors’ risk for falls: study – McKnight’s Long Term Care News. Newspaper letters shed light on people’s opinions about long-term care during the Depression – McKnight’s Long Term Care News. Medical News: Dementia Risk Higher in Spouses of Dementia Patients – in Neurology, Dementia from MedPage Today. 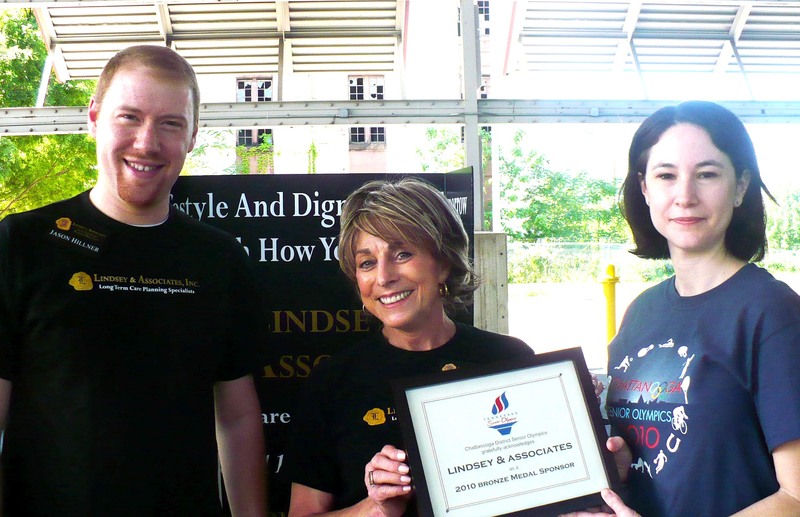 Michelle Turner, of Alexian Brothers, recognizes Lindsey & Associates for sponsorship of the 2010 Chattanooga Senior Olympics. 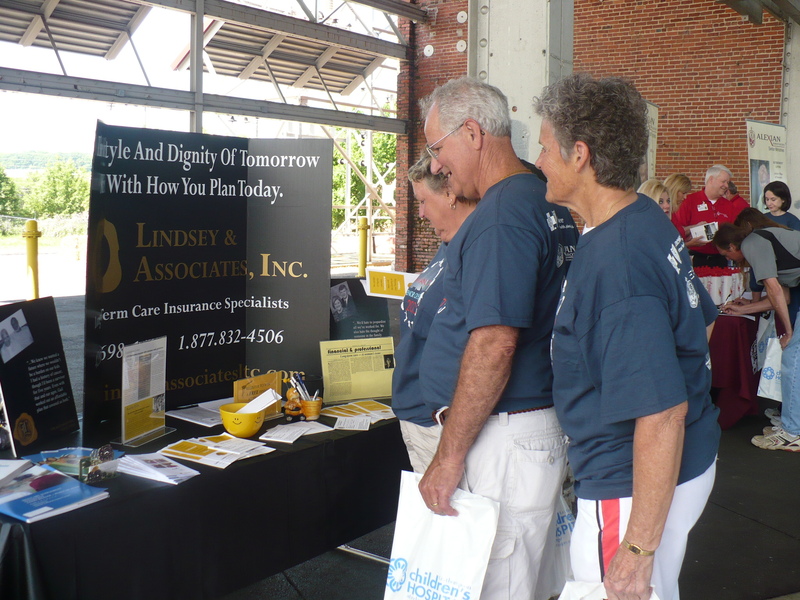 Senior athletes stop by the Lindsey & Associates information booth just before the Opening Ceremony. 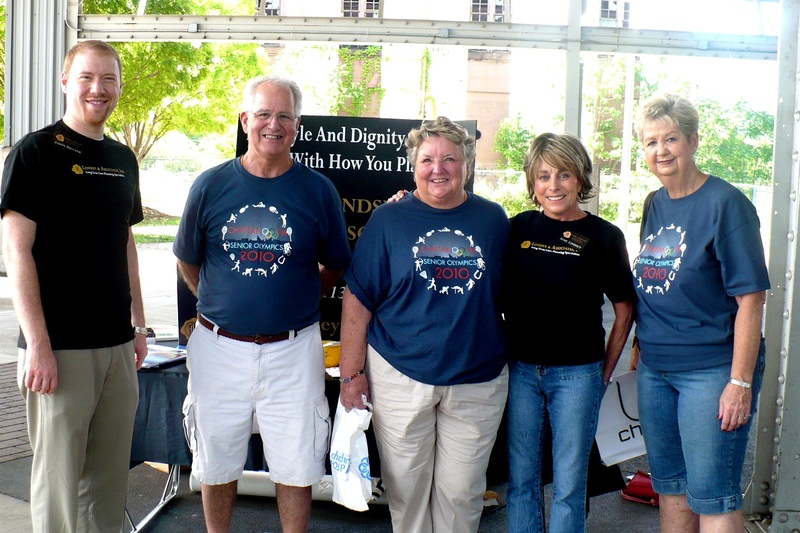 We are so proud and honored to be a sponsor of the 2010 Senior Olympics! As we were setting up our information booth for the opening ceremonies, I paused as a group of senior athletes gathered around, pushing the wheelchair of a fellow athlete proudly holding the olympic torch. It was a heartening reminder of the olympic spirit that can live in us all, young and old alike. Gail and I were pleased to share information on long term care planning with these inspiring seniors. They showed appreciation for the possibility of pursuing their athletic potential with the confidence – knowing they will be able to maintain their lifestyle and independence, regardless of their future health.